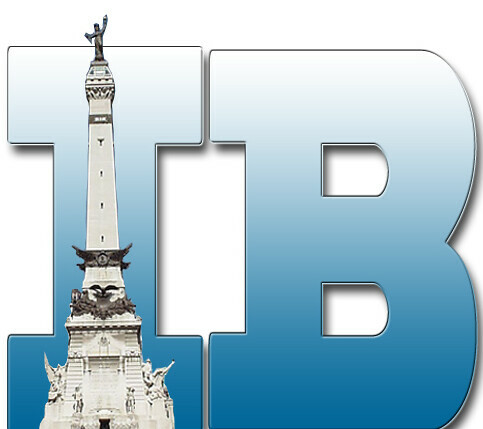 In honor of Earth Day, there are several activities happening around Indianapolis! Events like these are great ways to get the whole family involved and explore new ways to make our planet a better place. 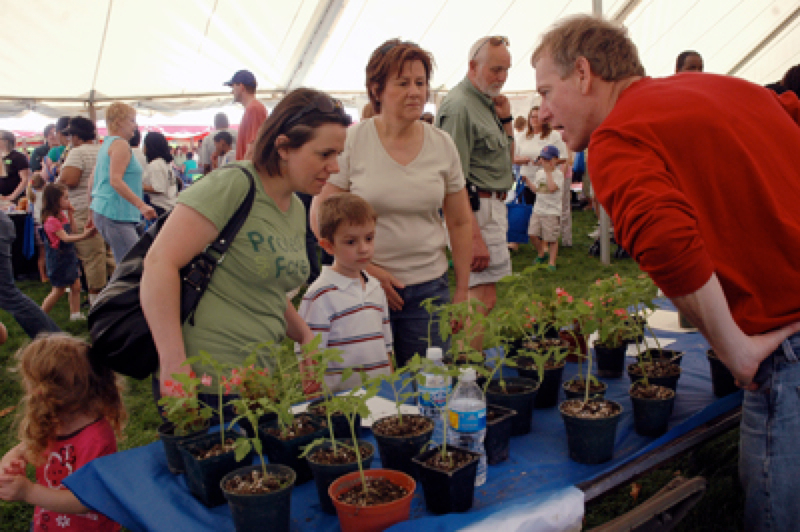 One exciting event is the Earth Day Indiana Festival on Saturday April 27 in downtown Indy. This is a free outdoor festival with over 130 environmental and conservation exhibits, special activities for the kids, great music and wonderful food. Here is a photo of some of the exhibitors and visitors at last year’s Earth Day Indiana. You can see the whole slideshow on their website. The festival is being held at the White River State Park and goes from 11 a.m. – 4 p.m.
With over 130 exhibits there’s going to be a lot to see so I wanted to point out a few neat booths that you won’t want to miss. 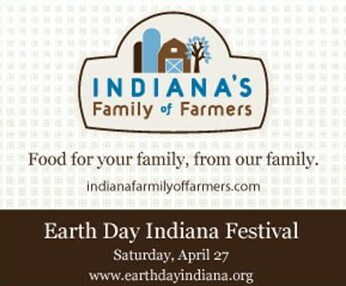 Indiana’s Family of Farmers – a proud sponsor of Earth Day Indiana – will have two booths at the event. Now you might be wandering, what are a group of farmers doing at Earth Day? Well, a famer’s livelihood depends on the land so they also have to be good environmentalists to make sure their fields last from year to year. Indiana’s farm families work hard to be good stewards of our land and they want to help promote taking care of the soil. 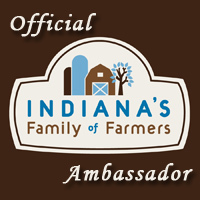 The first Indiana Family of Farmers booth will be in Exhibit Tent D – booth 93 with their popular “Wheel of Ag” encouraging visitors to learn more about being good stewards of the land. A variety of farm families from across the state will also be at the booth to answer questions about their farms. Land conservation is becoming more and more important and farmers are doing a lot of great things to preserve their soil. Management practices like no-till farming, using cover crops, and preserving waterways and wildlife buffers. Be sure to stop by the Indiana Family of Farmers booth to learn more! The second Family Of Farmers booth will be in the Children’s Tent – booth 122 and will help kids plant popcorn seeds in biodegradable CowPots to celebrate the “Year of Popcorn” at the 2013 Indiana State Fair. Indiana is the number two state in popcorn production in the U.S. and Indiana Family of Farmers wants to help share all of the cool facts about popcorn. All of these activities sound so fun! So be sure to mark Earth Day Indiana Festival on your calendar and get the kids ready for a day full of fun and learning! And if you’re up for an extra challenge, as you visit the Indiana Family of Farmers booths, share what you learn about conservation and agriculture on Facebook, Instagram and Twitter by tagging @FamilyofFarmers and using the hashtag #FarmsMatter. Hope to see you at the festival on Saturday! 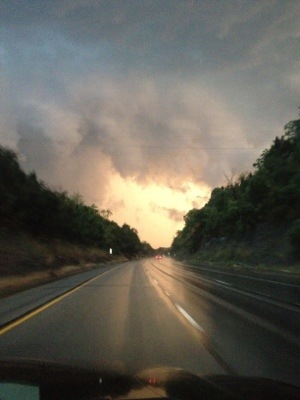 I have to admit, I love storms! I was that kid who stood out on the porch every time it stormed to watch the lightning… (with my mom yelling at me to get back inside), but I just always thought it was so cool. Anyone with me on this? 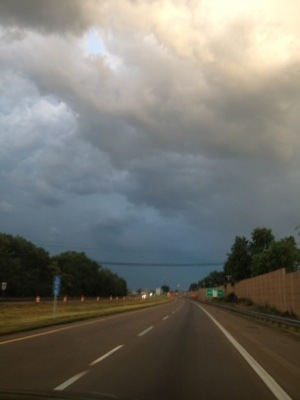 Well, we were taking the usual weekend journey to southern Indiana (this time is was for our Nord family reunion) and a crazy storm popped up as we were approaching the Louisville area. 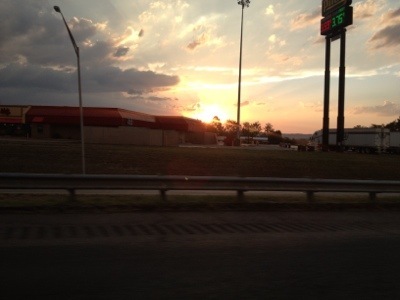 So naturally, I started taking pictures! Can you believe that all these different colors came from the same storm, just different sides of the sky? I love this one because of the tree line that frames the clouds. But best of all, I was taking shots of the lightning and happened to catch one just as the lightning strike went off and it ended up creating this half-processed effect! Let’s be real, I couldn’t have done this twice if I tried! These were all from my iPhone, I wish I would have had my real camera so they would be more in focus but still, these were #nofilter (which in the world of Instagram is pretty rare) so I thought they were pretty good! 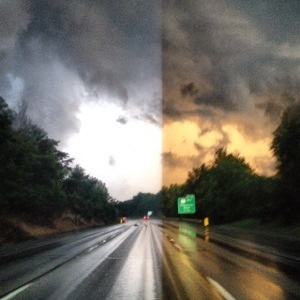 Have any of you captured some rare storm moments over the years? I’d love to see them!